im in love with that chair - great find! It looks fabulous, that chair is perfect! That chair is gorgeous. So so pretty!!! 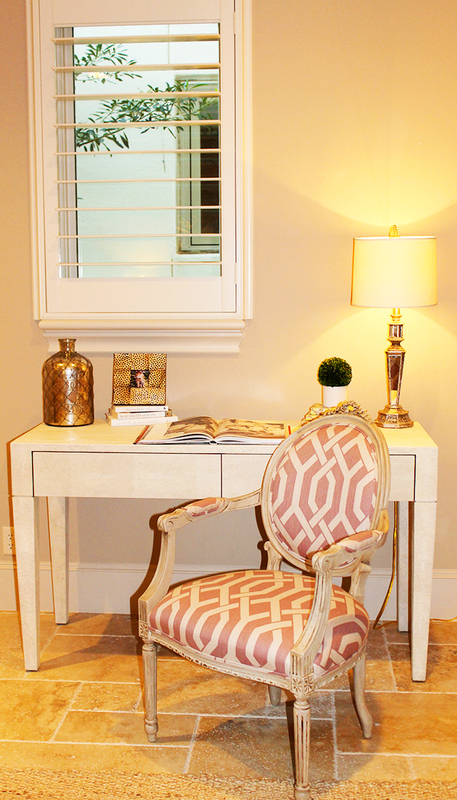 love your desk and the chair!!! lucky girl! it is beautiful! I LOVE that chair. I think I could get a lot of work done in that thing! Sam, I love the chair! You just CONFIRMED it's A-OK to get chairs redone in this fabric - it's a lovely fabric! I ordered samples to get two chairs reupholstered in this fabric...the color of the fabric says "amethyst." Is it more pink or lilac? Thanks! 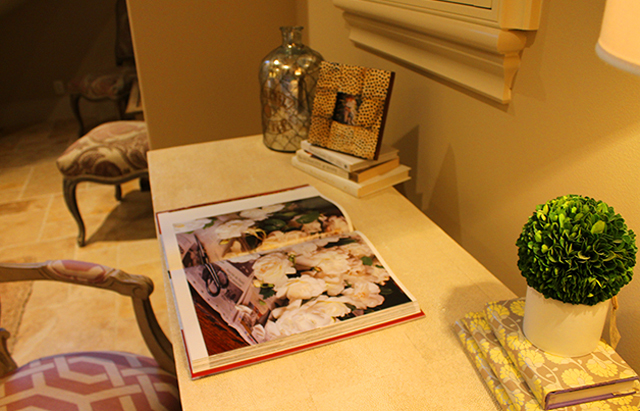 Love your desk vignette! Great find! 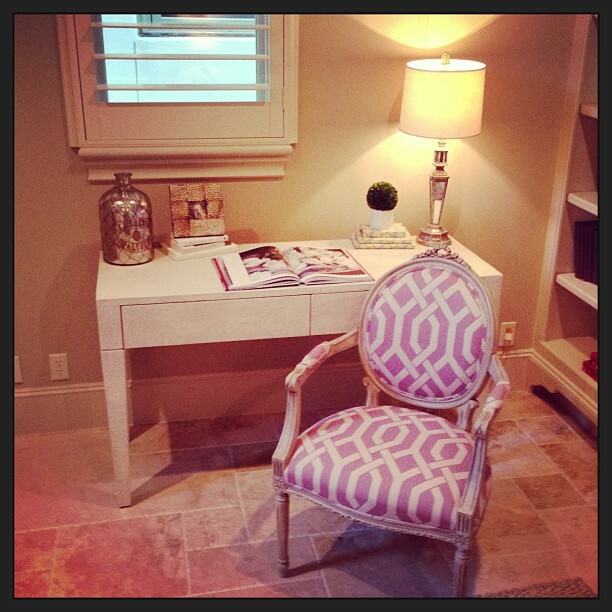 I love the shape of that desk, super chic and a Louis chair is the est! 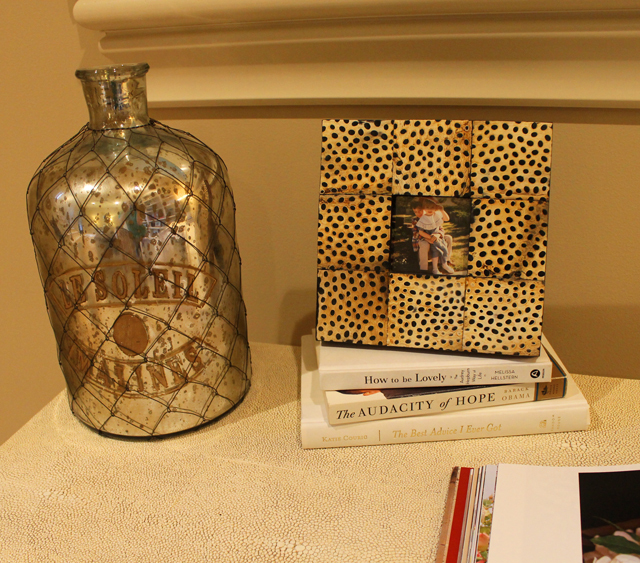 I absolutely adore the King Louis chair darling, so chic! I told you girl! That chair is the absolute most! Could you share where the chair is from? Did you get it reupholstered or did you buy it as is? It is so beautiful! Absolutely obsessed with that chair! i love the chair! its gorgeous.